Last week, we treated you to the first post in our Zapier series. “What is Zapier?“ covered the basics, but in this post we are going to go deeper into the advanced workings of the most useful automation software to have ever graced your computer screen. 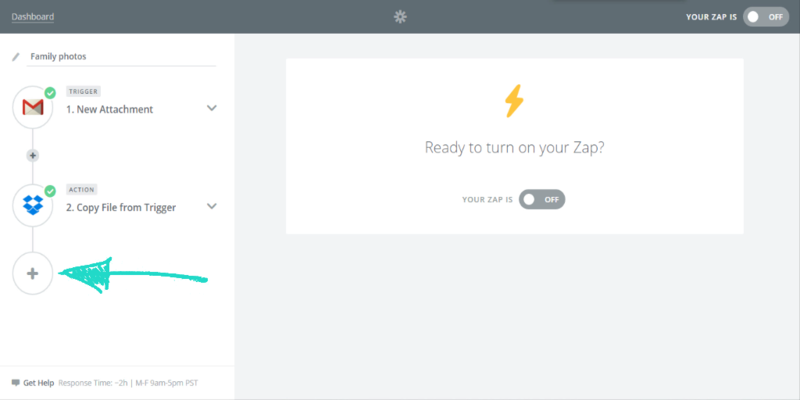 If you still haven’t tried out Zapier yet, don’t sweat it! Considering how long it takes myself to come around to the idea of new technology (Windows 8 was a true shock to the system), you can’t be blamed for not going all-out straight away. 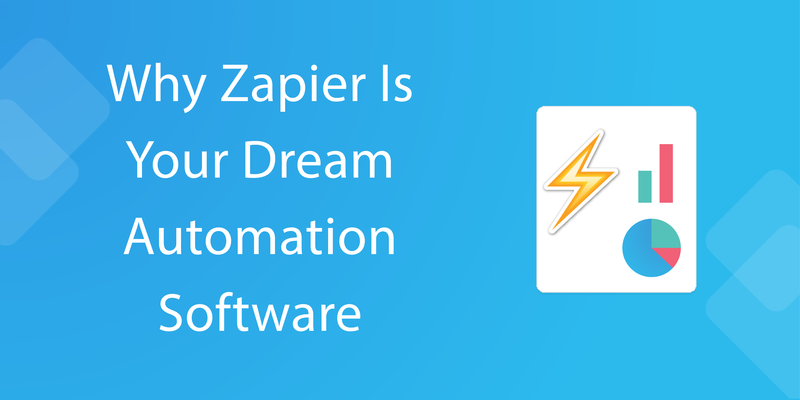 So, to put any remaining doubts at rest, allow us to prove why Zapier truly is your dream automation software. Matthew really hits the nail on the head with this review; although it’s a fantastic program, unless you have the time and dedication to test out the entire app yourself, you’re probably not even going to know about some of the most useful features. That’s where we’re kicking in. When your mom sends you photos, Zapier can grab them from Gmail and save them into a folder you choose in Dropbox. Automatically, of course. If you’re a Close.io user, you can populate Close.io with leads automatically by having it scrape contact details from your main email address. 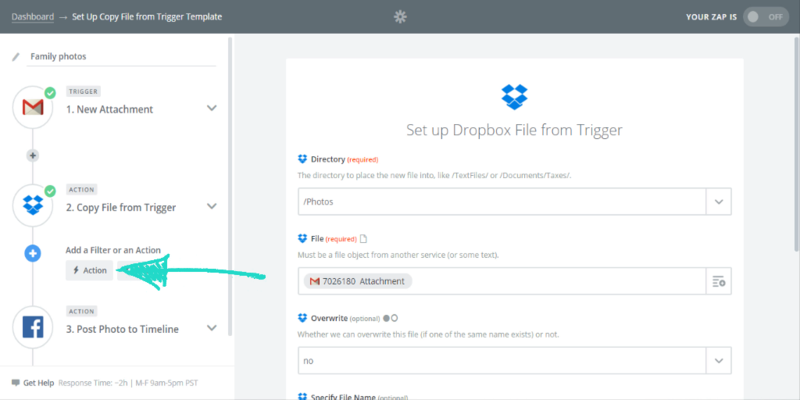 Process Street can also be integrated with Zapier; you can set checklists to automatically run and assign members when your trigger is set off. Millions of things are possible with these trigger/action zaps, but when you dig deeper, you’ll find infinite possibilities. 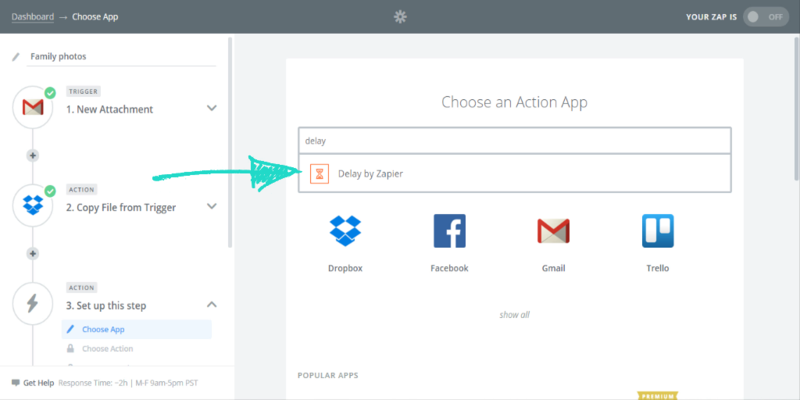 In this post, we’ll be explaining the more advanced features of Zapier and what they allow you to do. Who wants to make their workload tremble in its boots? Multi-step zaps are exactly what you would expect from their name – a string of events which you can set to occur from a single trigger. Just in case you still don’t quite understand what all the fuss is about, allow me to give you an example. Let’s go back to our trusty instance of moving your family photos from an email to your Dropbox. It’s all set up and running smoothly, so now all you have to worry about is sharing those same photos on Facebook, Twitter, Instagram… You can see where we’re going with this. 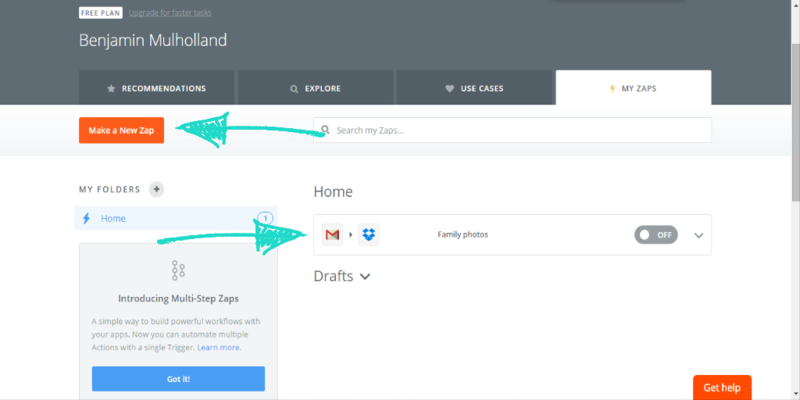 Prior to multi-step zaps, you would need to create a new process for each and every task you wanted to carry out, but now you can include all of those steps in the same zap. To do this, you need to go to your dashboard and select the zap you wish to extend (or make a new zap, and rejoin us when you’ve set up a single trigger and action). Once you’re in, click on the large circle with a plus at the centre (underneath your first action) to create a new action. Now just fill out the details as you have the previous steps! Choose your app to link to, fill out the details and enjoy even more automation! Your zaps are now firing off who-knows-how-many actions, saving you ridiculous amounts of time and effort with one simple (automatic) process. Amazing, but what if we told you that you’ve still only just scratched the surface of what Zapier can do to limit the need for you to do the legwork? As we’ve said, multi-step zaps are all well and good, but the real power behind this feature comes with what having multiple actions allows you to do; the best example of this is through using lookups. Never heard of one? No worries. I’m about to explain. Lookups are essentially filters or actions which search for specific data when your trigger is set off; before multi-steps came in this would be a waste of a zap, as you would essentially be retrieving data which nobody (including yourself) could utilize. However, now you can actually do something with the data you retrieve. For example, let’s say that you have a new customer sign up and wish to add them to your mailing list. Usually, you would need some form of human intervention to assess which mailing list this customer should be put on, but with lookups, everything can be done inside a single zap. Instead of manually searching for your customer’s data, you can set one of your actions to retrieve it using a specific search term (eg: the customer’s email address), which can then be filtered in order to sort the customer into the appropriate mailing list. In the new customer mailing list example, if they turn out to be a high-value lead you can add them to your high-touch mailing list, whilst the average user can be put onto your standard course. If you want some more ideas on how lookups can be used, or you aren’t quite sold on just how powerful they can be, take a look below at our video on the subject. Feel free to use the zap we show you too; it’s a real doozy! 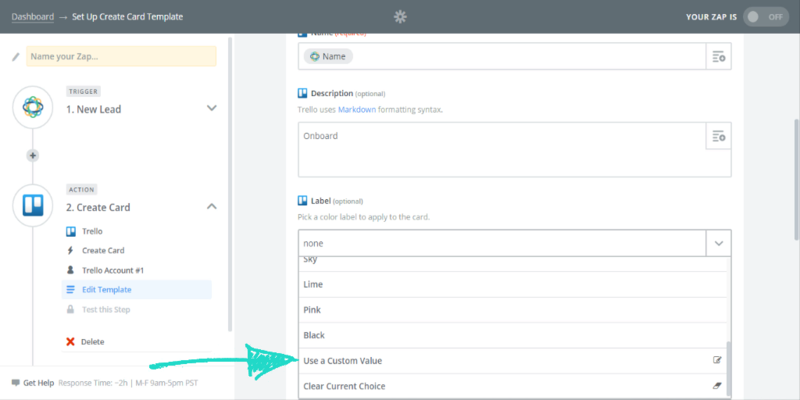 In your travels of setting up zaps, you may have noticed that certain fields in your triggers and actions have the option to “Use a Custom Value”. Whilst you need to be certain that the information you enter is correct and will have the desired effect, this is yet another powerful tool to add to your Zapier arsenal; with this tool, you’re no longer confined to the preset categories! As always, we’ll use a basic example to get you going; let’s dive into a zap which creates a card in Trello for every new lead in Close.io. 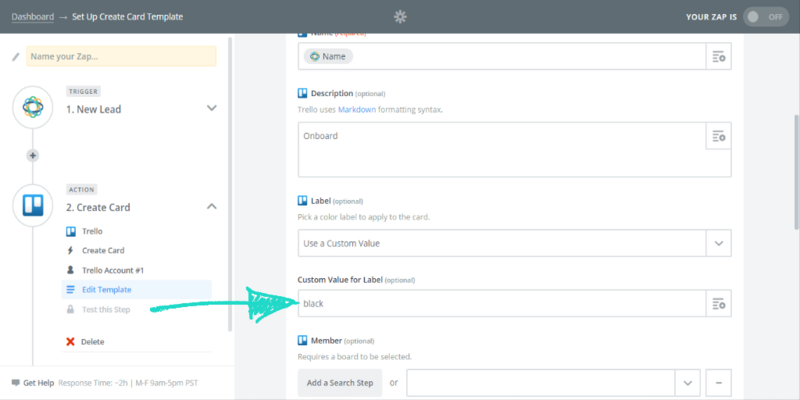 In this case, we’ll use a custom value for the colour of the label which will be attached to the Trello card (bear in mind that not all fields can have a custom value added to them). First, select “Use a Custom Value” from the very bottom of the drop-down menu supplied for the detail. Now you have two options. The first is to go right ahead and type the custom value (in our case “black”) directly into the next field. Alternatively, if it suits the detail you’re filling out, you can use the drop-down menu to select information from your trigger. Perhaps until now you’ve sat comfortably on the knowledge that zapier works by linking one app with another, with the occasional extra action and filter thrown in. Well, throw that concept in the trash, then take the usability of zapier and multiply it by 10, because you can also delay any action if you so desire. Much like lookups, the usefulness of delays is pretty much limited only by what you can imagine them doing; with a little creativity, you’ll find some fantastic time-saving use cases. First, however, we’ll cover the principles of delays to get you on your feet. First up, delays count as an extra action. As such, to add a delay you’ll need to create a new action before the steps you wish to delay. 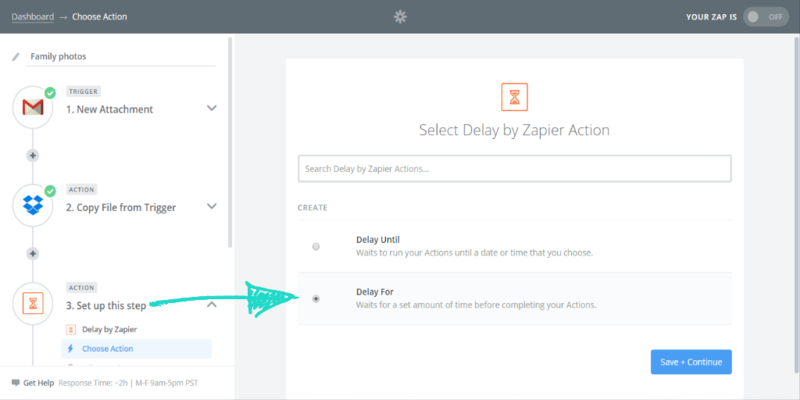 Once you’ve started a new action, type “delay” or “delay by zapier” into the search field for the action app; the icon you need should have an hourglass icon. 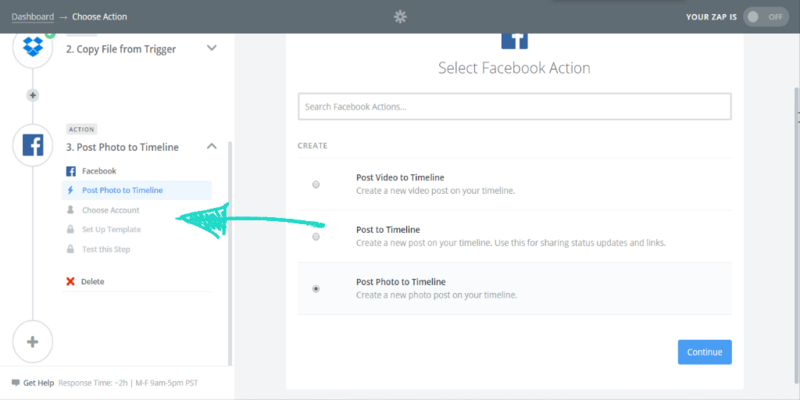 Next you need to choose whether to delay the next action until a certain date, or for a set period of time. 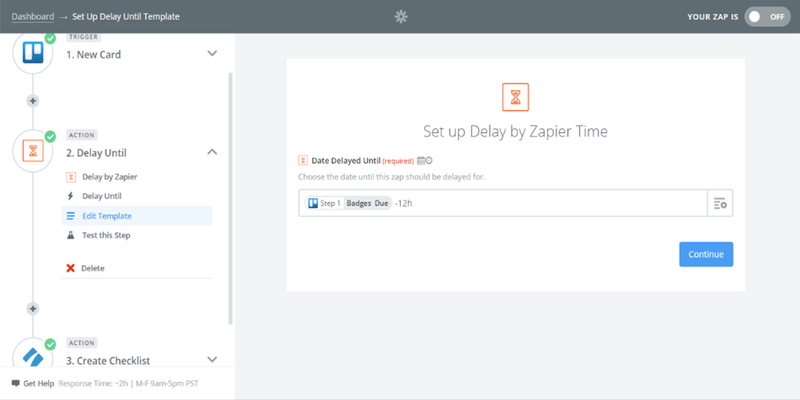 Although these are the only delays which Zapier currently permits, we may see additions to this field in future updates. We’ll demonstrate how to use a “Delay For” action, but if you wish to set a specific time with “Delay Until”, you can type in a static date, a term such as “next monday at 8pm” or the date from your trigger. Finally, type in the amount of time (numbers only) and select the unit from the drop down menu. It’s not always the case that you want to grab data straight away from the source when the zap fires off. In some cases, you want to wait for it to become useful. For example, let’s say you’ve got a card in Trello with a due-date. Instead of triggering an action when it’s due, you might want to trigger it the day before. How can you do that? By using a date offset, you could have a Trello card automatically create a Process Street checklist in time for you to run through it and prepare for the due date. This could be something like a blog post task which automatically runs a pre-publish checklist eight hours before the due date. Using these advanced Zapier techniques, why not dive in and see just how much of your daily grind you can automate, all in the same zap? 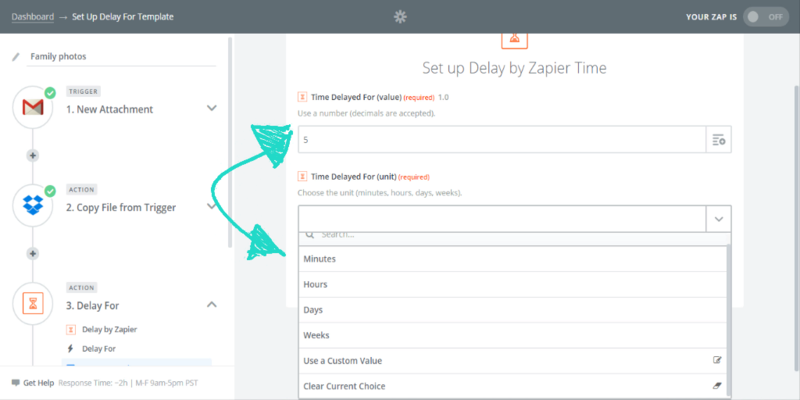 We’d love to hear the inventive ways you’ve managed to save time with Zapier, be it through multi-steps, lookups or basic zaps. Leave a comment below to share your Zapier stories, ask for more advice or suggest areas which could do with a little more exploration; we’ll see you there! Hey Ben, Thanks for this great post! I’m writing an article on the Zapier blog that I would love to get your input from. Could you shoot me an email?